- In 1991, following the collapse of the authoritarian Somali government, the northwestern region of war-torn Somalia became a de-facto republic called Somaliland. Every year on May 18, millions of people take part in Somaliland’s independence rallies. Though Somaliland is imperfect, it has all of the attributes of a functioning nation: a legitimate political order that has the consent of the people, a court system that enforces the rule of law, a security force protecting its people and denying sanctuary for terrorists, and a political process to ensure the peaceful transfer of power. In fact, last November, Somaliland had a free and credible presidential election, as certified by international observers. Yet 27 years after declaring independence, Somaliland still struggles to be recognized as a member of international community, or even acknowledged for its transformation into a fledging democratic country in the Horn of Africa. The problem for Somaliland, which has plenty of valid reasons to be considered a sovereign state, has to do with the politics of accepting new states into Africa. The African Union (AU), run by despotic regimes, has an unjust veto over Somaliland independence. The AU charter prohibits changing Africa’s borders that were inherited from the colonial powers. However, the African Union’s argument to deny Somaliland sovereignty is not valid because Somaliland was an independent state in 1960 before Somalia was. It had defined colonial borders that were established at the time of independence. The 4 million Somaliland people made their voices clear in a May 2001 referendum. Thousands drove or walked miles to polling stations, stood patiently in the scorching sun, and voted overwhelmingly in favor of independence. In contrast, the Somali government that the United States recognizes is riddled with corruption, and is struggling to govern, protect its people, and deliver basic services. It does not have support among ordinary Somalis. Its top leadership is constantly fighting over factional interests and the spoils of foreign aid. Without the support of African Union troops it would collapse. Despite billions in foreign aid, U.S. counter-terrorism efforts, and some 22,000 AU troops, Somalia is still unstable and dangerous. Many African and UN soldiers, including U.S. Rangers and Delta soldiers, have lost their lives to bring peace and order to that sad country. Senator Jack Reed, top Democrat on the Senate Armed Services Committee, recently assessed that “not much has changed about Somalia’s prospect for long-term stability” since he first visited 25 years ago, after a trip to Mogadishu, Somalia’s capital, last March. The reason Somalia remains ungovernable is that its governance is a racket and a fraud. Its power-hungry politicians, businessmen, elders, and even clergy are mostly corrupt, profiting from human disasters and promoting chaos and manufactured political crises to serve their narrow self-interest. In fact, America’s aid is inadvertently maintaining the culture of impunity and predation that prevails in Mogadishu. As long as the U.S. and others are rewarding bad actors—entrenched rivals clans and warlords—and cajoling with terrorists, defeating al-Shabaab, al-Qaeda’s affiliate group, and securing peace in Somalia will remain elusive. The United States treats Somalia as a sovereign country, as though United Nations body membership somehow confers legitimacy. Yet democratic Somaliland, which manages its own affairs, is regarded as a pariah state. Somaliland’s biggest challenges are its economy, dilapidated infrastructure, rudimentary health care system, and recurring droughts due to climate change, which have decimated its livestock. It has been sustained by the export of mutton and sheep to the Middle East, and the remittance of the diaspora in North America and Europe. Yet with its legal status uncertain, those who might invest and develop Somaliland’s resources—such as fishing, mining, oil, and agriculture—are not able to do so. Somaliland’s economy did receive a huge boost after the Dubai-based DP World, one of the globe’s largest seaport management companies, agreed to invest $442 million to expand the deep sea port of Berbera on the Gulf of Aden, a busy shipping lane. This will develop a free-trade zone in Berbera modeled on the one in Dubai’s Jebel Ali. The new project will also help landlocked Ethiopia, the region’s largest economy, get alternate access to shipping lanes. So far, DP World’s investment is the largest single foreign investment Somaliland has received. Instead of dictating Somaliland’s political outcome and risking more American lives and treasure, the U.S. should use its diplomatic muscle to broker a negotiated settlement between Somaliland and Somalia, to end the legal fiction that the former is part of the latter. 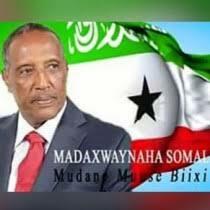 I believe the only viable solution is an independent, democratic, free Somaliland trading with its neighbors, and helping maintain peace and stability in a region crippled with violence, despotism, and terror. For the rest of Somalia, the best hope is for the international community to unite behind Turkey and others who want to bring peace and order to that troubled country. Most Somalis in south Somalia trust Turkey: unlike their nation’s self-interested neighbors, it has no territorial ambition on Somalia, has significantly contributed to the security and rebuilding of their country, and has operated a vast military base and a port in Mogadishu. I have no doubt these corrective actions alone will not end Somalia’s tragedy. But keeping the status quo will only lead more terrorism, chaos, and disintegration. 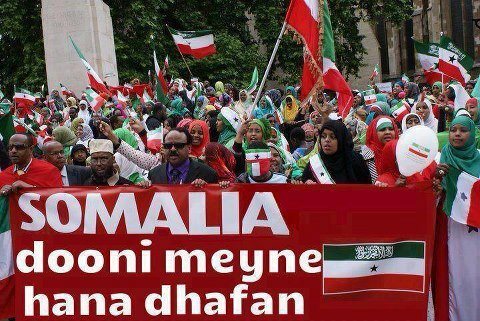 It will also deny Somaliland’s people a chance to control their own political destiny. Ali Mohamed is the founder and editor of Gubanmedia.com, an independent online source of news and commentary covering the Horn of Africa region.